When we wake up, there’s 豆浆油条 waiting and before we sleep, there’s 夜市 to conquer. Eating is a continuous affair in Taipei lol. Loco Food (樂口福) and Chen Gen Zhao Cha (陳根找茶) are two very popular brekkie joints with the locals and queues are synonymous with these two names. As recommended by the hilarious duo on TVBS 食尚玩家 during the 台北必吃十間早餐店 edition, both shops have excellent thin and crispy egg rolls generously stuffed with fillings of tuna, pork floss, corn etc! 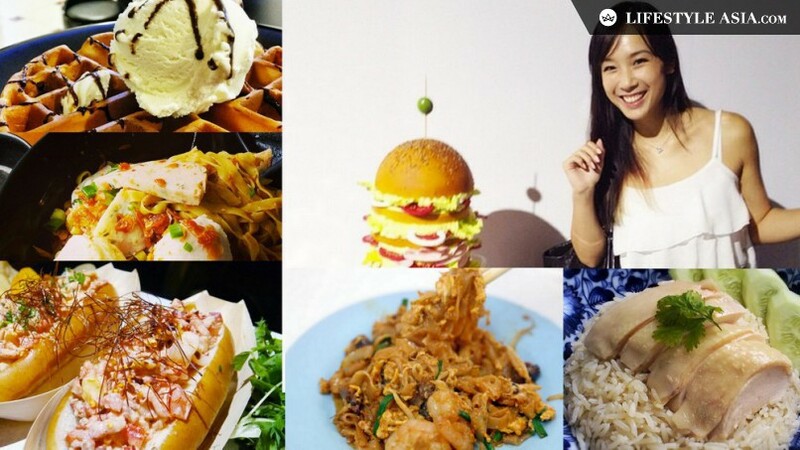 Other than 蛋餅, other must-tries include the mean 無敵大牛堡 burger from Loco Food and fluffy 法式吐司 French toast from Chen Gen Zhao Cha. Skip Yong He (永和豆漿), very underwhelming. And the best is definitely Fu Hang (阜杭豆漿) – the legendary place where tourists start queuing at 6am for freshly baked 燒餅 flatbread, deep-fried 油條 cruller and 豆浆米浆. We loved it so much that we went back twice! As for night markets, K swears by Ah Zong Mian Xian 阿宗麵線 (which I hate) from Shilin (士林夜市) and the famous black pepper buns 胡椒餅 from Raohe (饒河夜市) while I’ll always make a beeline for the taro balls with salted egg yolk from 刘芋仔芋丸 at Ningxia (宁夏夜市)! Gongguan (公館夜市) is home to Chen San Ding Bubble Tea (陳三鼎), apparently the first (and only?) place which serves fresh milk with “bubbles” soaked in brown sugar so there’s actually no tea in the drink at all. I’m not a fan of tapioca pearls or bubble teas but K the expert stamped his approval all over it (he wanted to buy one more!) And FYI, Shi-Da (師大夜市) is the most boring in terms of food options imo. I went gaga over soft serve ice cream in Taipei!! Top on my list is 8%ice冰淇淋專門店; the gorgeous white sesame soft serve was soooooo good that we ordered another one right on the spot. Matcha, French chocolate, banana and royal milk tea were great too but it’s the white sesame flavour which will make me yearn for 8%ice. 瑪可緹 Mocktail Tea has a bubble tea-inspired parfait consisting of Tie Guan Yin soft serve, pearls and tea jelly that’s well worth the calories! 白鬍子 Milk Beard and 小涼院 (Xiao Liang Yuan, but I think they don’t have an official English name) are popular among the local bloggers and bravely offer just one or two flavours daily. Get the creamy honey whiskey from Milk Beard, it’s their signature and rightly so. 小涼院 was overrated to me – the pink guava (while interesting) was a tad icy. And even Family Mart and 7-Eleven have decent soft serves! Of course, I couldn’t bear to leave Taipei without grabbing a Godiva cone at the airport. Last chance what! I’m really impressed with the desserts scene in Taipei. Other than ice cream, most of the cakes we tried (upon much research!) were of superb quality. Uncle Tetsu is a must ever since I was hooked on their fluffy soft cheesecake a few years ago (sadly, the Singapore branch couldn’t survive). So surprised to see that there’s a green tea version now and happy to report that we finished it at one go! Speaking of green tea, we found the most Instagram-worthy molten lava matcha roll cake (and the best coffee, according to K) at The Lobby of Simple Kaffa!! Another fabulous roll cake was from 香帥蛋糕 – take your pick between purple yam or black sesame! Last but not least, how can I miss out Dazzling Cafe?! I haven’t been to the one in Singapore (and don’t think I’ll go) but the huge famous toast was really quite delicious (we prefer it to Bangkok’s After You). FYI – our limited edition Mont Blanc toast is only available at Dazzling Cafe Pink! We were on a mission to find the best 車輪餅, literally wheel cake or imagawayaki (今川焼き). Many have raved about the whimsically named 有時候紅豆餅 but I think the red bean and custard were too clean-tasting (read: bland). Old school 同心圓水晶紅豆餅 is the best imo! We impulsively ordered four different flavours – azuki, black sesame mochi (yes mochi! ), peanut mochi, custard – and all were excellent! The fragrant batter was a notch better than the other eight (yes eight, I’m determined like that ha) imagawayaki shops tried and tested lol. Snagging a table at Chef Andre Chiang’s RAW restaurant was a stressful event. The system opens exactly 14 days prior to your date of reservation at 12pm and seats are snapped up within 10 minutes! It’s a game of fastest-finger-wins, no kidding. I camped by my computer on that afternoon and almost wept with joy when my reservation was successful. Drama much, but that’s how foodies serious about food will feel! The 50-seat restaurant serves ‘bistronomy’ cuisine, a new wave of cooking style born in Paris, and offers experimental haute cuisine at a reasonable price. Our 3hrs 9-course lunch had some hits and misses, though overall I’d say it was very enjoyable. The menu changes regularly and showcases beautiful Taiwanese seasonal produce. We started with toasted cauliflower with chicken masala and cous cous; rose champagne-scented tomatoes; ‘perfect’ egg with praline and wild veg (this was fun, we were given a wreath of edible herbs to decorate our own dish! ); sakura ebi cappellini; corn pudding with clam and kelp jus (this was my favourite! ); cod with burnt cabbage; mushroom salad; pork with chinese olive; ended with desserts of mini pineapple tarts and strawberry, pink grava. RAW strives for ‘The New Interpretation of Taiwanese Flavor’, we reckon mission accomplished! We decided to splurge on one omakase meal at Kitcho (吉兆割烹寿司) since it came highly recommended by a couple of foodie friends. Making reservations was easy and straightforward; finding the nondescript restaurant was likewise when armed with Google maps. Our NT$3,500 (approx S$155) lunch took more than two hours to complete. We were fed sashimi, sushi and cooked food. There was nothing we disliked, and yet there was nothing particularly outstanding – except for one epic sushi which ironically was not part of the omakase. I ordered the negitoro-uni-aburi toro sushi as an a la carte item and woah it was an orgasmic combination! That said, K didn’t rank this place highly because he was served an otoro sushi which disintegrated in his hand upon picking it up. Chef didn’t form it properly and failed to replace with another. Minus points! From a small bistro to an upscale restaurant, TON 28 has been serving quality Japanese cuisine for the past 10 years. If I have to choose a word to describe our meal, it’d be ‘exquisite’. Every dish was creativity crafted and we could tell the chefs paid much attention to the presentation. Plus, I heard that famous celebrities and politicians like to dine here! We started with a lovely tray of ‘Kyoto flower garden’ sashimi salad which wouldn’t be out of place in a kaiseki restaurant; signature nigiri sushi of baby white shrimp with perilla; ikuri with uni on rice and lettuce for a pleasant crunchy-creamy texture; broiled foie gras with caviar and gold foil that’s a luxurious savoury treat; my favourite anago sushi; grilled Australian rose beef with seasonal vegetables; lightly steamed fresh sturgeon with truffle; sakura shrimp with angel hair pasta; and ended with sweet seasonal fruits. We left feeling happy that a hidden gem has been uncovered; TON 28, we’ll be back for more! Because TON 28 was so delightful, we also checked out the sister restaurant TON Sushi (同壽司) which is less upmarket and more casual. Food-wise, it didn’t disappoint too as the quality of seafood is nothing but fresh. I love the anago-meshi (broiled conger eel on top of rice) – four neatly arranged anago that were almost too long for the bowl – and the colourful 三色丼, tri-coloured don of uni, kani and ikura! Heaven. For something more filling, the rainbow roll and soft-shell crab roll will do. The former was surprisingly light despite being stuffed with tempura flakes and crabmeat coated with mayo while the latter had a thin crispy batter without the oily mouthfeel. Sumie Nouvelle Cuisine Japonaise (澄江創意懷石料理) was our last stop before leaving the country. Located in San Want Hotel, the contemporary restaurant offers affordable set lunches which are popular among businessmen. As a kid, I had my fair share of 旺旺 biscuits from 小馒头 to 鲜贝 (don’t tell me you don’t know what I’m talking about; it’s a childhood memory!) so it was fun to step into the hotel and see a 旺旺 statue! Yup, 旺旺 is not just into the F&B business but properties too! Anyway, back to Sumie. The lunch set menu came with edamame-tofu appetiser, assorted sashimi and sushi, tempura, beef sukiyaki and steamed rice. Little needs to be said when the ingredients are so fresh and elegantly assembled right?